In collaboration with Justine Peterson, we’re turning this abandoned factory into a thriving hydroponic farm for nutrient-rich basil. We move in June 1st 2019, and will have produce on shelves Summer of 2019. 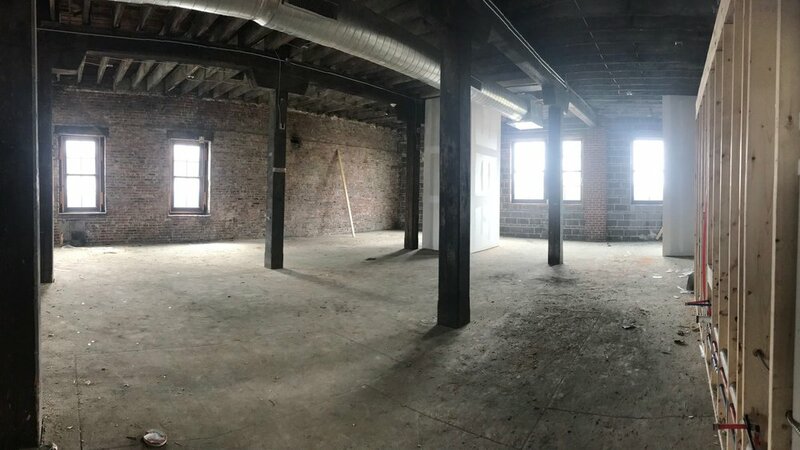 Through the skilled labor of local contractors and by our efforts, enabled by Justine Peterson’s micro-lending and startup support, a run-down space will transform into a healthy, safe environment to grow food for our communities. To actualize this exciting goal, our triad team will be putting in extra hours to get this space operational. We’ve set our sights on meeting full production capacity by winter — when there won’t be any fresh basil growing in the region except ours! And we’re dedicated to keeping you stocked. If you’re an individual who wants to contribute to this work, consider supporting us today. With our economical approach, small contributions go a long way. Like us on Facebook and follow us on Instagram for updates on the space and to show your support! If you’re a business/entity looking to purchase, partner, or invest, contact us here. © 2018 SLIP | All Rights Reserved.